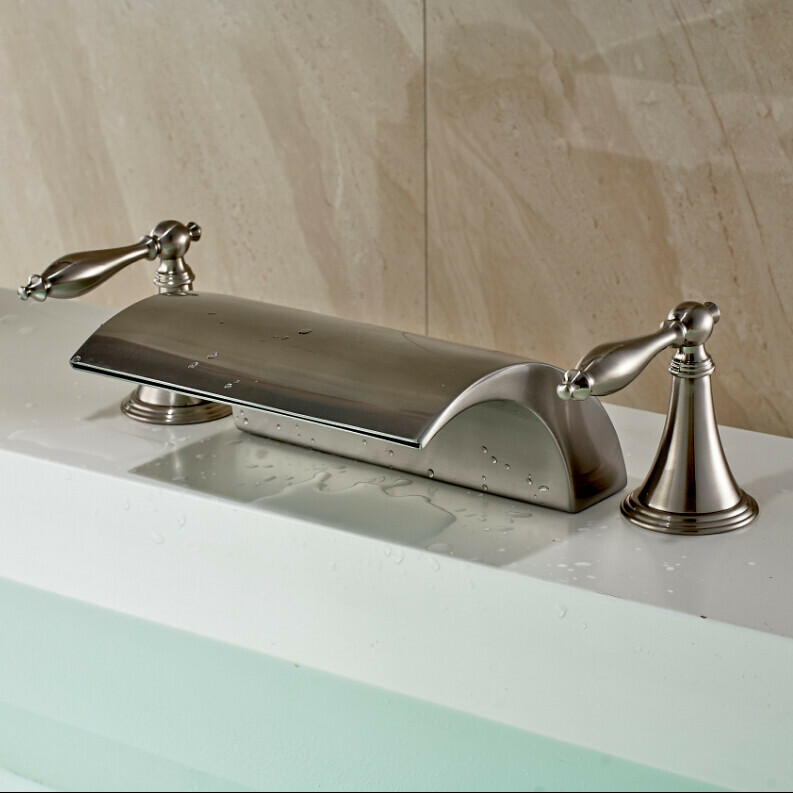 This wide spout waterfall bathtub faucet is perfect for contemporary bathrooms with an elegant style. The design makes the water look alive and the brushed nickel finish makes it easy to match with the other bathroom fixtures. It comes with hot and cold water mixer for your convenience. It is deck mounted, three holes, with brushed nickel finish. The body, spout and handles are made of brass, while the valve core material is ceramic for best performance and long lasting life time. It comes complete with accessories and installation instructions. I'd have to agree with the earlier comment. This thing does look pretty, but I won't go as far as saying that it looks like a luxury faucet. The design's nice, but it pretty simple at the same time. Something like a minimalist appeal if you ask me. The faucet works nicely though and fit perfectly with the existing holes in the tub so no major modification was necessary. We needed some new bathtub faucets for some of the room in the inn, and we thought that we'd come and shop here. So we did, and we're actually glad that we did, otherwise we wouldn't have seen this one. This looked perfect for what we needed. It looks great, with the brushed nickel finish and lovely design. And the item looked to be made from good quality materials, too. Definitely worth it.